This is a seasonal freebie offered by Honey Nut Cherrios for the last few years. I am sure you are well aware of the struggle to keep our honey bees alive and populating and this is a small way you can help out. You can see if there are still some free Sunflower seed packets available, they arrive in your mail in about 10 days and there is no shipping cost either. 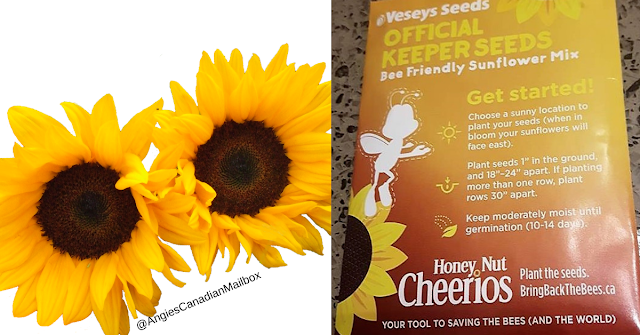 The packet contains seeds that are bee friendly, so help out the bees in the #BringBackTheBees movement. See yesterdays free stuff that came in the mail!